While doing business I have to sign a lot of paperwork: contracts, NDAs, amendments, etc. 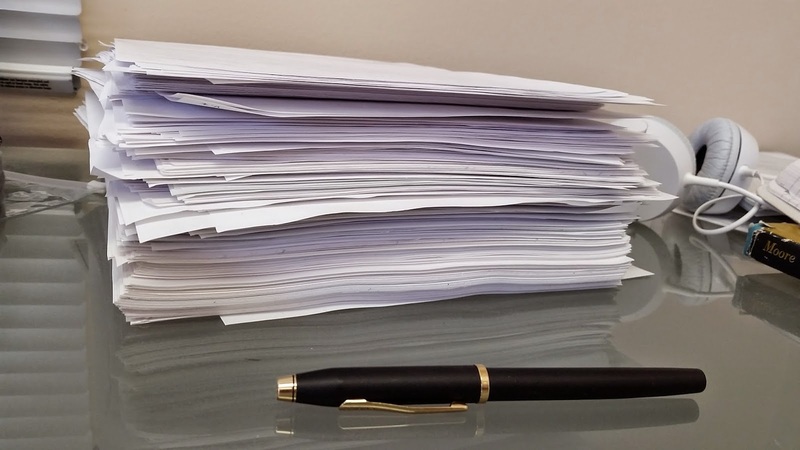 One would think that companies in Silicon Valley (this is where majority of our customers are) should be done with the paper and should be all using digital signatures by now. Unfortunately this is not the case. In last 10 years I can recall only one instance where we were offered to use digital signature. Most people print sign, scan, and email the paperwork. Oftentimes people just sign and send you back the signature page. Frankly this is bothering me a little bit. I am not a lawyer and I am not sure of all implications. What if remaining pages were changed (hopefully inadvertently)? On the other hand it is a lot of work to print and scan 20-page contract just to sign a single page. That made me thinking if there is a low-tech temporary solution to this, at least until everybody switches to digital signatures? A trivial workaround would be to tag (via watermark or a footer) every printed page with the hash (like MD5 or SHA-1) of the whole original document (PDF file). Then a single page could be printed and signed but if needed it could be checked to what document it belongs. Implementation-wise it could probably implemented as printer driver or via simple utility which produces watermarked PDF for printing from the original one.